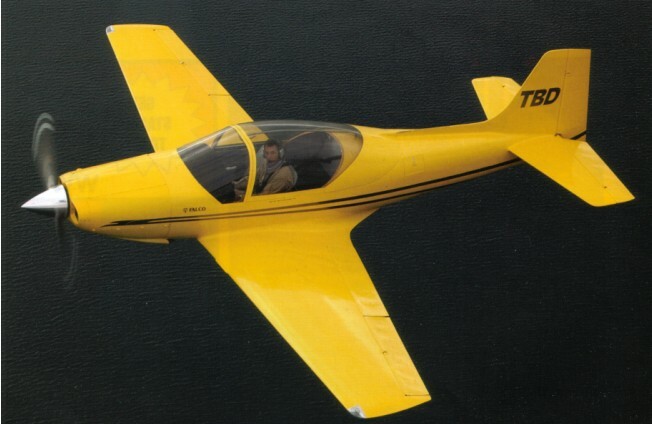 A two-place aircraft with an optional third seat for a child, the Falco offers an unbeatable combination of high-speed cross-country travel with complete aerobatic capability. Designed by an Italian, Stelio Frati in 1954, a Falco equipped with an optional Christen inverted fuel and oil system is capable of unlimited inverted flight and the full range of aerobatic maneuvers. Landing gear are fully retractable, activated by a simple mechanical system. Designer Frati has been responsible for such airplanes as the Waco Meteor/SF 260 and the F20 Pegaso. 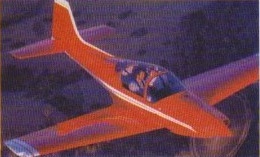 Designed in 1955 and between 1956 and 1968, 101 Falcos were built as production aircraft. Now earmarked for homebuilt construction in the United States through Sequoia Aircraft Corp., the Falco is made of wood, except for the firewall forward, the landing gear and the sliding canopy. Fuselage and wing skins are dacron. Power is supplied by either a 150- or 160-hp Lycoming behind a fixed-pitch or constant-speed prop. Gear and flaps are operated electrically. Two examples of the Aviamilano F.8 Falco appeared in Britain during 1960. The Falco has been produced in kit form since 1974. Price 1982: $24,000 (Excludes engine and propeller). Units delivered to June 1981: 80.